This camp is designed for preschool age children (3-5yo). 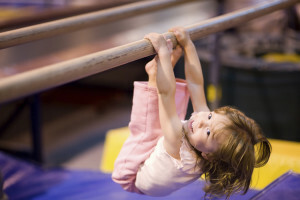 This program is a FUN introduction to Preschool Gymnastics & Movement Education. It is designed to help develop motor skills and coordination, while having a GREAT TIME! Call for pricing and registration information!